Born in Exeter, Cooper played in the under-11 side for West Hill Wasps, a junior club near Ottery St Mary. He attended St Peter’s School in Lympstone, East Devon, before moving to Plymouth College. Whilst in Exeter he joined Argyle’s centre of excellence in the city before joining the club’s academy in Plymouth at the age of 11.
Cooper was a young member of Argyle's successful Milk Cup squad in 2014, a summer youth tournament in Northern Ireland, and started in all fixtures. He made his debut for the under-18s at just 15 and started in ten fixtures of the successful South West Youth Alliance and Merit League 1 campaigns of 2015-16. 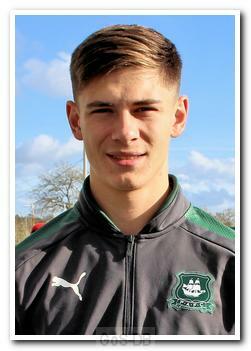 In the summer of 2016, Cooper was awarded an apprentiship at Home Park and in the following season was invited to an England goalkeeping training camp, and also had exposure to first team training with goalkeeping coach Rhys Wilmot. 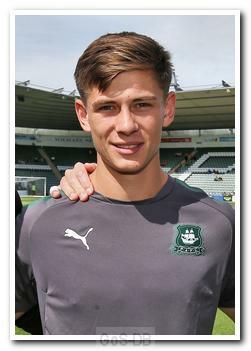 In Argyle's difficult start to the 2017-18 League One season, injuries to Luke McCormick and Robbert te Loeke meant that Cooper sat on the first team bench for several games as backup to the deputising Kyle Letheren, and his debut arrived unexpectedly. During a match at Blackburn Rovers, Letheren suffered an injury just before half-time and, not surprisingly, did not appear for the second half. In his place, the fresh-faced Cooper made his Football League debut, less than two weeks after his 18th birthday and whilst still an apprentice. 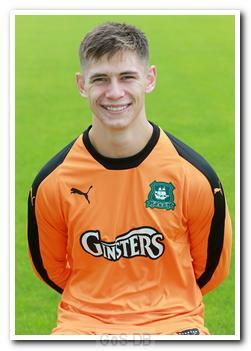 He became Argyle's fourth keeper and 26th player used in a challenging season that was just 17 games long at the time. The second half of that match saw Argyle defending deep and were under heavy pressure, with Cooper a vital part of a rearguard action and making two excellent late saves to ensure the point. At full-time the young keeper's name was sung rousingly by the 415-strong Green Army at Ewood Park. Certainly a debut to remember.